A video of a Canadian filling what looked like a plastic bags with gasoline at a U.S. gas station has gone viral — but the man claims there were a jerry cans in the bags and he was just doing what many Canadians do every day. 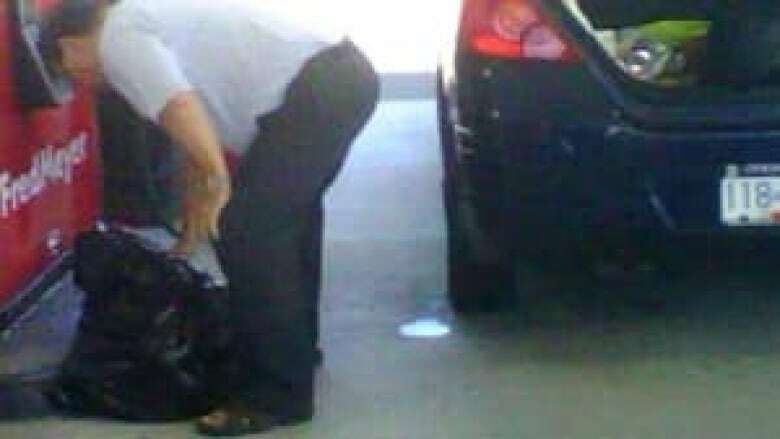 A video of a Canadian man filling what looked like a plastic bags with gasoline at a U.S. gas station has gone viral — but the man claims there were jerry cans in the bags and he was just doing what many Canadians do every day. The controversy started at a gas station at a Fred Mayer store in Bellingham, Wa., where the man appeared to be filling three green plastic garbage bags from a pump in a video posted on Seattle TV station KOMO’s website on Friday. The unidentified man told a U.S. reporter who contacted him that jerry cans, which are used for legally transporting gasoline, were in the bags, which he put in the back of his car. The B.C. 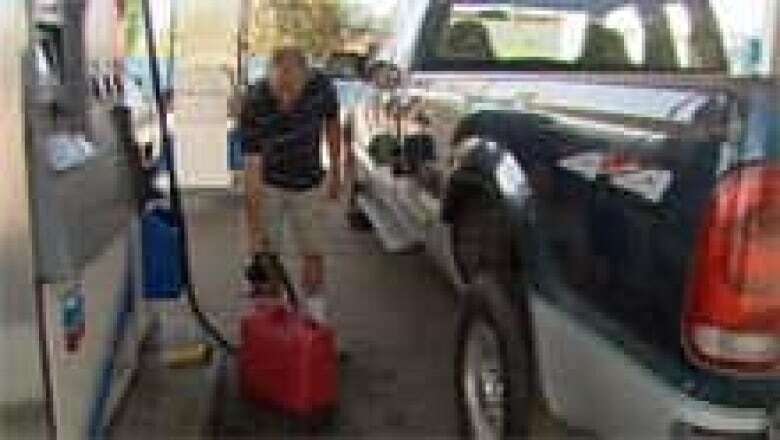 man said it’s something he does every few weeks, to take advantage of lower U.S. gas prices. At many U.S. Stations, filling up jerry cans after topping a vehicle’s gas tank is becoming common practice for many Canadians looking to save at the pumps, according to Roy Wighton, of Richmond, B.C. Wighton said he and many of his friends do it regularly. "I got friends with a pickup truck and a tidy tank in the back that they always fill with gas," Wighton said. "They always go down to Point Roberts and fill up." To fill up a 70-litre tank in B.C.’s Lower Mainland on Monday would cost about $96, but just $73 in Bellingham, a few miles south of the U.S. border. Canada Customs’ regulations allow Canadians to return with a full tank, but any more gasoline is supposed to be declared and is subject to a 5.1-per-cent duty. There are also concerns about gasoline safety, according to Sgt. Mark Dennis of the Washington State Patrol. "You want to be really careful transporting any gasoline. Any fuel. Because it's the vapours that are really the problem, and the combustible factor," Dennis told CBC News. "Legally, you have to carry gas in only an approved fuel container."